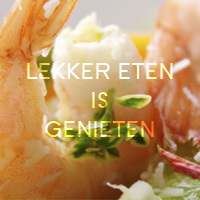 Restaurant te Brugge (West-Vlaanderen) - Restaurant.be, De lekkerste restaurantgids! Restaurant te Brugge (West-Vlaanderen) - Restaurant.be, Restaurant.be, De lekkerste restaurantgids! Ervaring met 't Mozarthuys? Uw mening telt! On our last night in Brugge we made the terrible choise to go to 'T Mozarthuys. Although the square looks nice the restaurant is definitely NOT. The specialty of the house are the meals grilled on a stone on your table. We decided to take a fish and a meat meal. At first everything looks nice as the food arrived in a few minutes. We did get two stone plates to grill our food. The first pieces of food were actually grilled on the plate, but when we tried to grill the second round of food it was impossible to get it grilled as the stones were already cold. We have watched our fish and meat on the plates for about half an hour and simply nothing happend. Also a waiter never shown up to help us out. After thirty minutes we walked inside and found a waiter. We told him that we were disapointed in the dinner as we were note able to eat half of our meal. Therefore we wanted to leave and excpect a discount on our bill. After a long discussion, where the waiter was not service-oriented in any way, we agreed to get a discount for one meal and pay full for the other meal and the drinks we managed to get. When we leave the teracce the waiter shouted several things to us, but the most remarkable sentence was: Dutch whores! We have been in many places in many countries but we were never abused by a waiter before. We would not recommend this restaurant to anyone. Brugge is a beautiful city but you can better stay away from this terrible place.